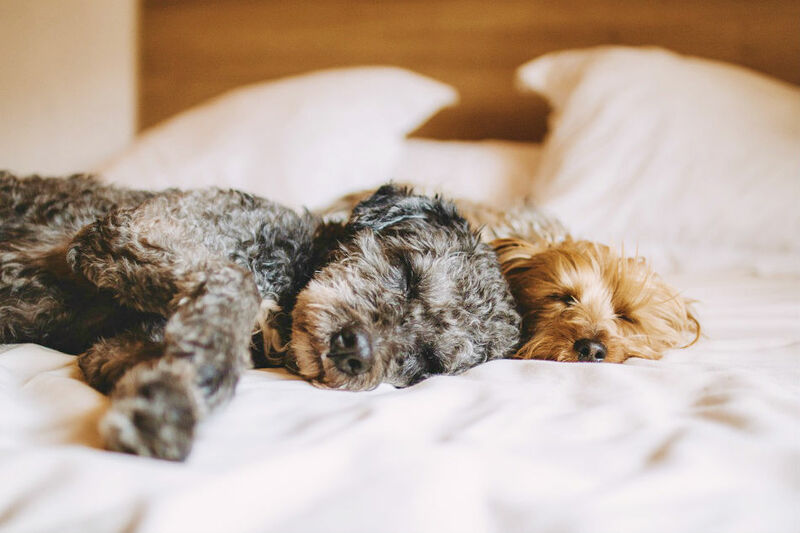 Getting enough quality sleep at night is vital for your overall health and happiness, but unfortunately, it’s not always easy to fall asleep fast. This could be due to work stress, a fight with your significant other that leaves you tossing and turning, or any other event that has left you feeling like you can’t fall asleep. Poor quality sleep or a lack of it can negatively affect your body functions as well as reduce your energy levels, alertness, concentration, problem-solving abilities, and mood. If you struggle with falling asleep or/and insomnia, but don’t want to take any medicines, there are a few home remedies that will help you fall asleep quickly and sleep through the night. Here are a few of those remedies for you to consider. If your insomnia is triggered by stress, panic attacks, or anxiety, having a cup of valerian root tea is what you need before bedtime. Valerian root tea aids in alleviating all your tensions and calming your mind. 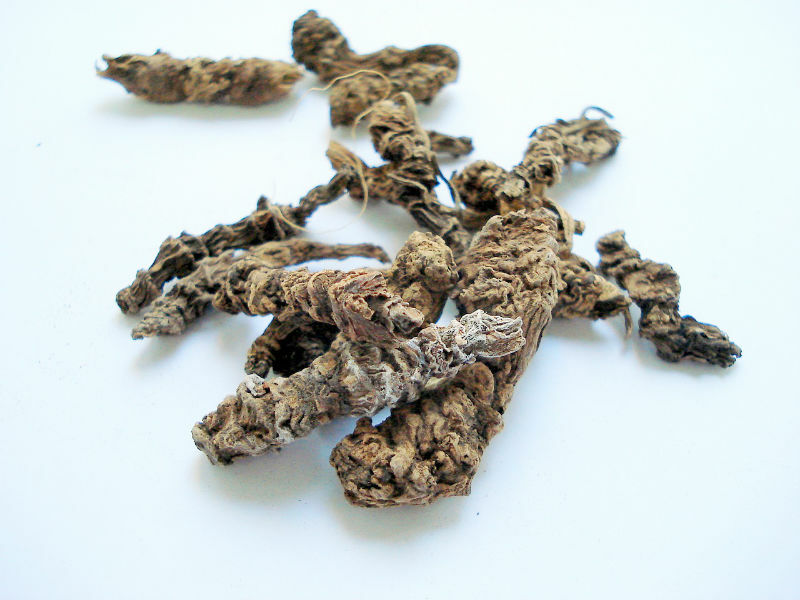 Numerous studies have proven the soothing effects of Valerian root on the nervous system. It’s a rich source of numerous active chemical compounds, especially alkaloids. Gamma-Aminobutyric acid is the most crucial compound, though. Gamma-Aminobutyric acid has been considered to have anti-anxiety effects on the brain. Valerian root has properties similar to anti-anxiety prescription medications. But since those medications aren’t for everyone, you can have a cup of natural root tea. 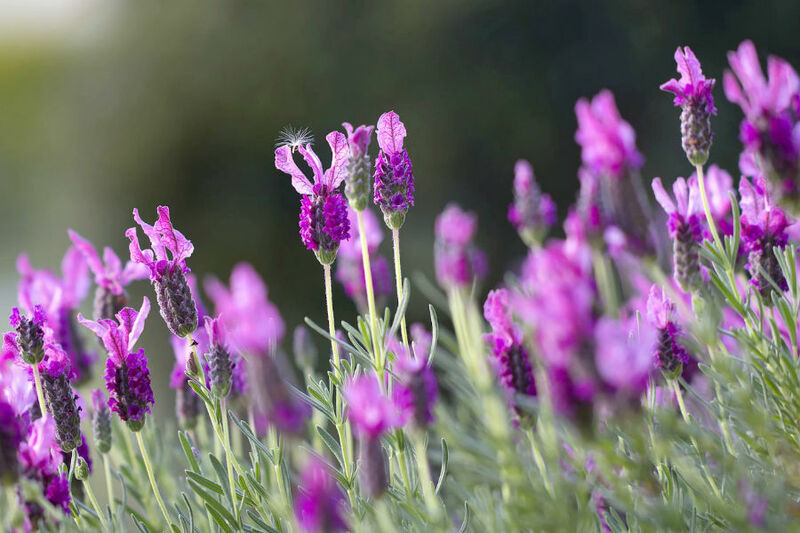 A study conducted by a group of researchers from the University of Southampton indicated that the scent of pure lavender essential oil helps to ease anxiety and stress, and treat insomnia. The study involved 10 adults with half of them sleeping in a room with a scent of lavender essential oil in the air during the night. Other 5 participants slept in a similar room but with a sweet almond oil scent in the air. After a week, participants switched their rooms. The results showed that sleeping in the room with a scent of lavender essential oil in the air during the night improved the quality of sleep by 20%. Sprinkle several drops of pure lavender essential oil on a piece of fabric or tissue, and place it near your bed before falling asleep. You can also use it in candle form if you prefer it over essential oils. Everything starts in your head and a good night’s rest is no exception. What do you usually do when you have trouble falling asleep? Are you checking your phone? Thinking negative thoughts? No matter what happened during the day, this day is over, so there’s no sense in worrying about it. Try a visualization technique to banish negative thoughts and induce sleep. One study done by the Department of Experimental Psychology, the University of Oxford, concluded that people suffering from insomnia who used an imaginary distraction experienced great relief and fell asleep faster. The thing is, a positive visualization helps us to occupy our minds with positive thoughts rather than engaging with concerns and worries before bedtime. 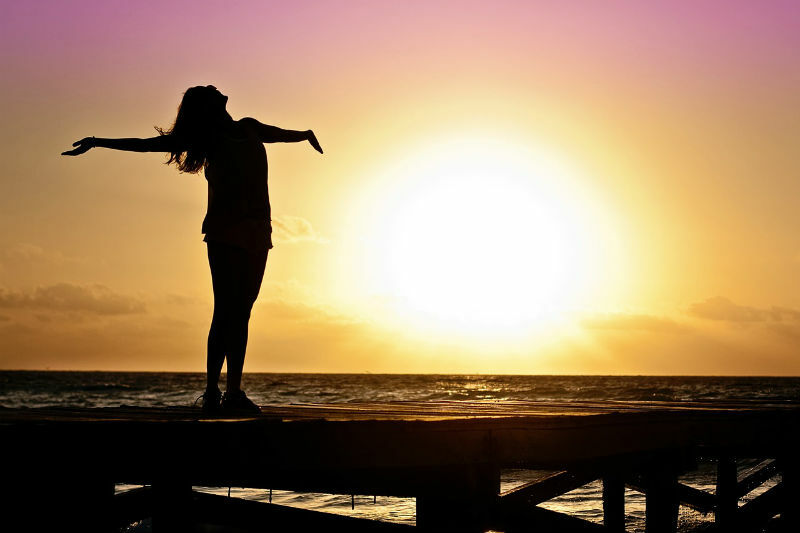 Focus and picture an environment that makes your worries vanish so that you could finally feel peaceful and relaxed by taking your mind away from the negative thoughts that nourish your sleep disorders. 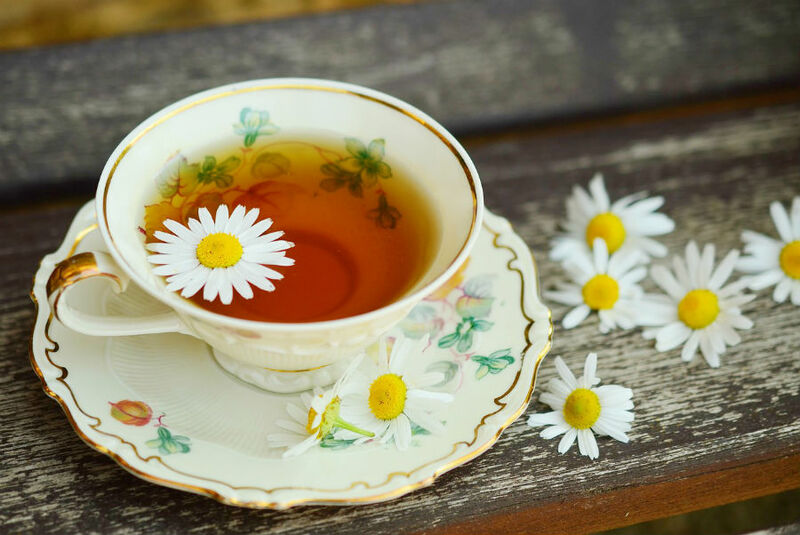 Besides having the powerful anti-stress properties, chamomile tea helps to improve sleep as well as is good for your nervous system, digestive system, and kidneys. Natural chamomile tea has always been used as an all-natural home remedy to treat chronic inflammation, ease panic attacks, and ward off sleep disorders. Taiwanese study showed that drinking chamomile tea aided in treating sleep disorders in postnatal women. Chamomile tea is a rich source of apigenin, which is a potent antioxidant that helps to ward off sleep disorders. Most importantly, drinking a cup of freshly brewed chamomile tea before bedtime can significantly improve your quality of sleep. As strange as it sounds, your body position might be a reason for your insomnia, too. Unlike people who sleep on their side or stomach, back sleepers tend to fall asleep faster and sleep better. It can also lead to snoring, sleep apnea, and blocked airways, according to a scientific review. On the other hand, a study published in the Internet Journal of Allied Health Sciences and Practice indicated that people who slept on their side got a better quality of sleep in comparison with those who slept on the back or stomach. While you’re not able to control your sleep position while sleeping, you can adjust it when going to sleep. Not only will it help you fall asleep faster, but will also boost the quality of your sleep. Herbal teas are known for their powerful soothing benefits, but if you’re looking for a more effective remedy to help you fall asleep faster, consider magnolia tea. Even though this tea is made from magnolia bark, you can also find magnolia tea that contains dried stems and buds. Both varieties are effective in promoting sleep. Besides its sedative abilities, magnolia tea boasts anti-stress, anti-anxiety, and anti-inflammatory properties. Magnolia tea can ease nasal congestion and abdominal discomfort, which can disturb your sleep. The tea contains honokiol, a compound that produces the sedative effect. 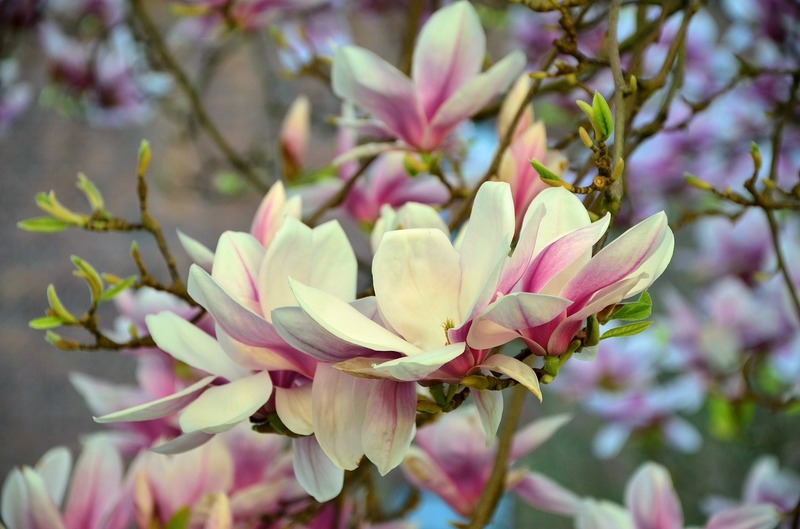 The bark, flowers, and stems of the magnolia plant all contain this compound. There are thousands of sleep-promoting videos and sounds available online, so the next time you have difficulty falling asleep, listen to one of those tracks. Multiple studies have found that soothing music can even treat many chronic sleep disorders, including insomnia. One research proved that listening to sedative, relaxing music ensured deeper sleep. Aim to listen to soothing music at least 30 to 45 minutes before going to bed. Make sure your bedroom is dark and your phone is far away from you. If you find that you are constantly being inundated with lights and sounds, such as the lights and sounds from a city, consider using a high-quality sleep mask with earplugs. There are also relaxing sounds that could play 3 to 6 hours, so if you can’t fall asleep because of noise, it’s an excellent way to block noise and enjoy better sleep. Pay attention to what you put into your body in the evening or before bed. If you’re struggling with insomnia or experience a poor quality of sleep, try eating foods that promote sleep, such as almonds, kiwi, tart cherry juice, fatty fish, walnuts, milk, oatmeal, banana, and cottage cheese. Avoid eating spicy foods and overeating before bedtime. Another herbal tea that could help you fall asleep faster is passionflower tea. The tea is known for its fantastic abilities that help to prevent a host of health issues. Passionflower tea is loaded with powerful flavonoid antioxidants renowned for their ability to maintain heart health, treat chronic inflammation, and strengthen the immune system. Moreover, passionflower tea is incredibly effective in soothing panic attacks and relieving anxiety. 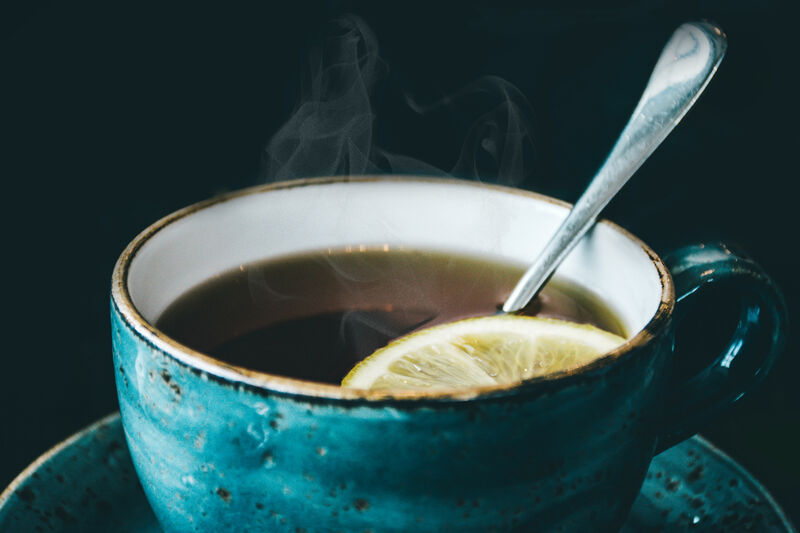 The tea is packed with an antioxidant called apigenin, which binds to certain receptors in the brain providing a soothing effect, as stated in this scientific review. Some random studies have suggested that having a cup of freshly brewed passionflower tea stimulates the production of gamma-aminobutyric acid or GABA. This is a brain chemical that aids in suppressing certain brain chemicals, such as glutamate, that increase stress levels. Since passionflower tea helps to reduce stress and trigger sleepiness, it’s recommended to have a cup before bedtime. People suffering from insomnia can also benefit from drinking this tea on a regular basis. A 7-day research study conducted by the School of Psychology and Psychiatry, the Monash University, Australia concluded that drinking a cup of passionflower tea right before bedtime drastically improved the quality of sleep. 41 participants who took part in this study mentioned that they slept much better when they drank passionflower tea before going to bed than when they didn’t drink it. Although more scientific reviews are required to state that passionflower tea helps to treat chronic insomnia, it’s definitely worth trying when you can’t fall asleep at night. If you’re stressed out or your overthinking habit stops you from falling asleep, try practicing mindfulness. Yoga and meditation are particularly beneficial when it comes to banishing high stress levels. Mindfulness, meditation, and yoga are proven methods to relax the body and calm the mind. Not to mention that they help to enhance sleep. Mindfulness helps to worry less about the past or future and concentrate on the present while trying to fall asleep. Furthermore, mindfulness teaches us to forgive and get rid of resentment that might also keep you awake all night long. Yoga isn’t just about flexibility; it involves the practice of healthy body movements and breathing patterns that reduce tension and stress. 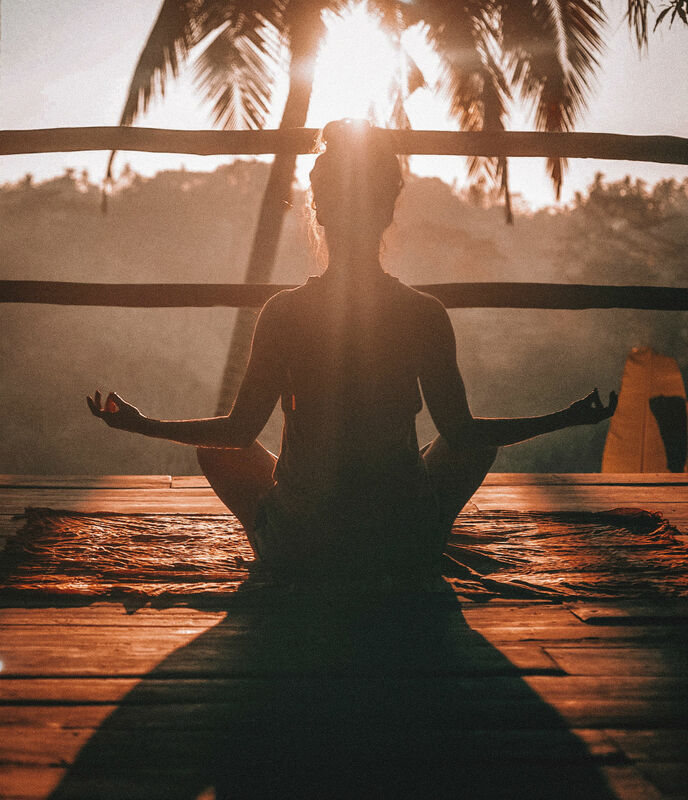 Meditation plays an important role in melatonin production and helps the brain to reach a specific state and fall asleep faster. 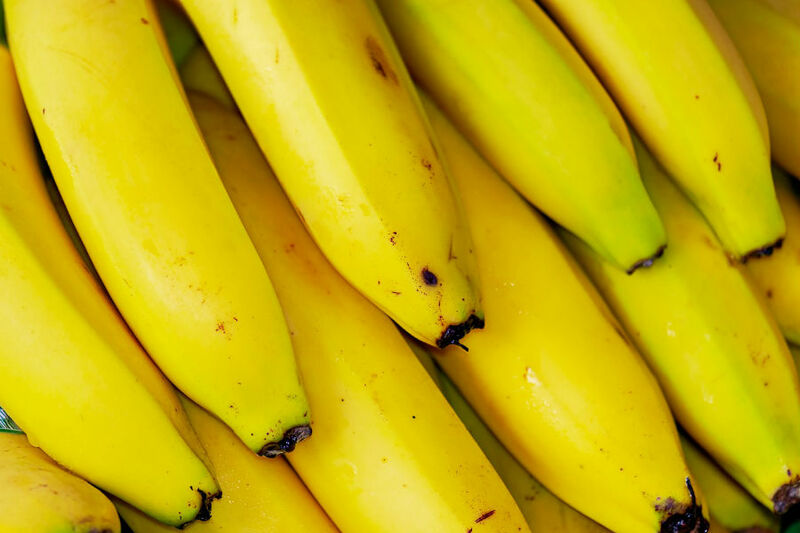 Not only is this a great home remedy to fall asleep quickly, but it can also help improve the overall quality of your life. There are many breathing patterns that could help to treat sleep disorders, yet the “4-7-8” breathing method is considered the most effective one. This breathing pattern helps to calm the nervous system, warding off stress and anxiety. Unexpected panic attacks might also be relieved by practicing a relaxing breathing pattern. Start with placing your tongue’s tip behind the upper front teeth. Create a whoosh sound by exhaling fully through the mouth. Keeping your mouth closed, inhale through the nose and count to 4 in your mind. Holding your breath, keep counting till 7. Fully exhale, creating a whoosh sound and counting to 8 in your mind. Relax. Repeat several times until you feel calm and sleepy. As we fall asleep, the temperature of the body changes. The temperature of the feet and hands increases while the temperature of the core reduces. When it’s too warm in your bedroom, you may not fall asleep because of it. Set your thermostat to a temperature between 60F to 75F if you have trouble falling asleep or the quality of your sleep is very poor. Of course, it depends on your own preferences. 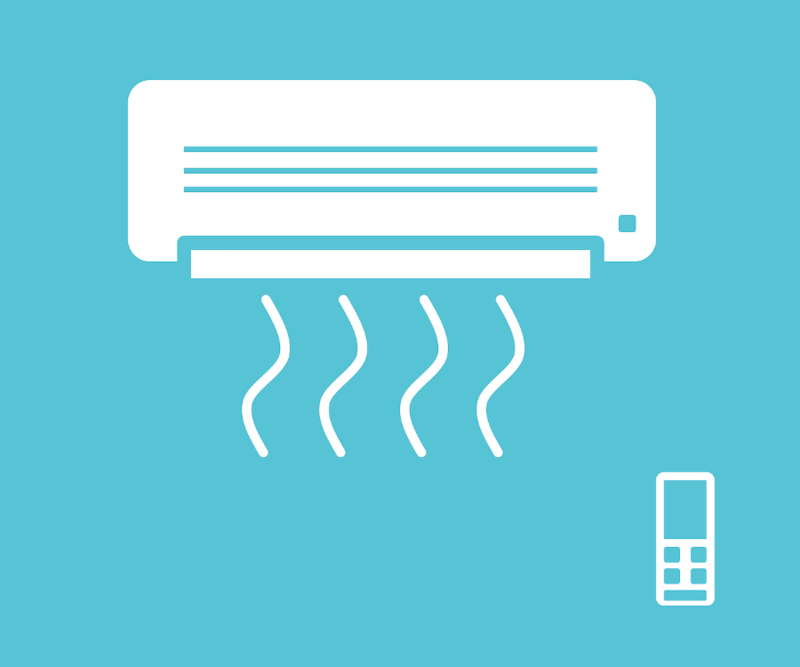 Choose the temperature that works best for you. However, if you wake up sweating in the middle of the night, it’s a sign you need to decrease your room temperature. Falling asleep fast, sleeping well, and beating insomnia aren’t easy, but a few tricks could improve the situation. Besides the tips mentioned above, don’t forget to cut your caffeine intake and turn off all your electronic devices. If you work out in the evening and have trouble falling asleep, try to exercise in the morning instead. Most importantly, keep your stress level low on a daily basis. The quality of your sleep will significantly improve, then. 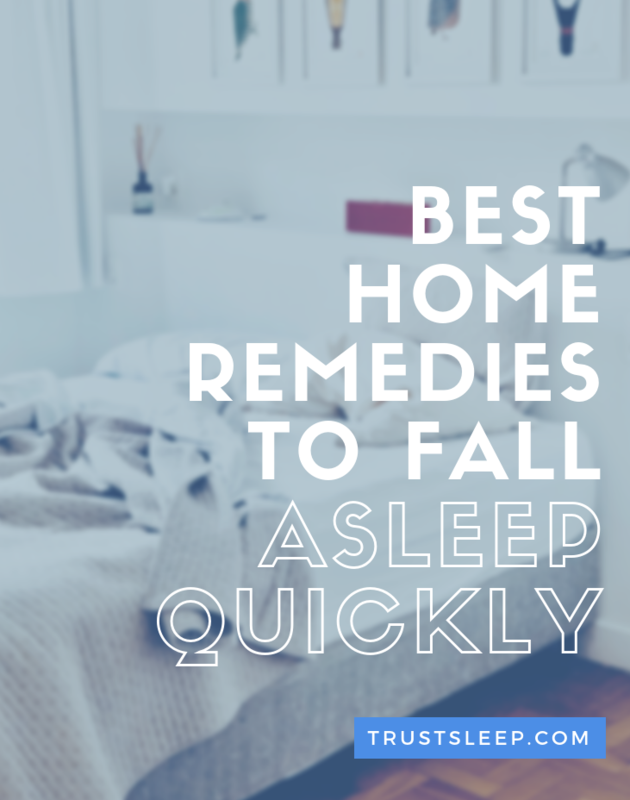 Thank you for reading this article on the best home remedies to fall asleep quickly.